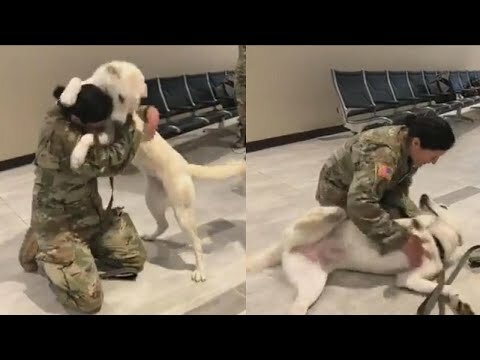 This pup couldn’t get enough of its owner, a U.S. Army reserve soldier, after they had been separated for seven long months. Sgt. Tracy McKithern rescued her dog Erby while she was deployed in Iraq. There’s no doubt this was a long-awaited reunion. Erby was flown home to Tampa where she patiently looked forward to her owner’s return. And Sgt. McKithern greeted Erby before even saying hello to her husband. InsideEdition.com’s Keleigh Nealon (http://twitter.com/KeleighNealon) has more.